My favourite 'kedai makan' staple is fried koay teow. My friends must've noticed this as once, when the waitress was taking the order, Yun told the waitress, "Budak tu tak makan bende lain selain koay teow goreng" haha.. Anyway, nowadays I try other things as well but my favourite is still the koay teow.. and of all things, this is the among the things I have never tried cooking myself. 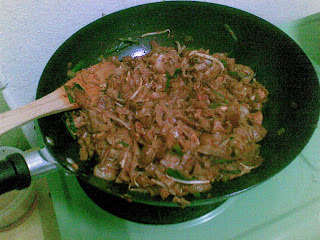 To me, it won't look like koay teow if I was to fry it myself.. it might just turn into beehoon if you make me fry it. 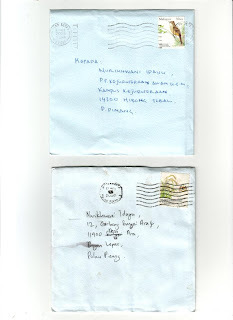 Now, a few days ago I opened Mas's blog and found her entry on koay teow you can read here. I was fasting then and you know la nafsu orang pose camne kan so I was VERY tempted to try since she made it sound soooo easy. An hour later, I found myself meredah hujan in the pasar malam searching for some of the ingredients hahaha.. the next morning pun same, I went to the market to buy the remaining things I didn't get to buy the day before. I was fasting that day too so it was only around 6pm that I started preparing for the koay teow. And voila..
Heheh.. thats what it looked like in the wok. Not impressive, I know.. but to me, it was an accomplishment hehe..
And this was what I had for iftar.. yeay! 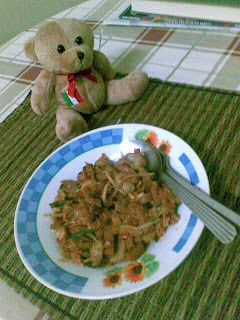 P/P/S I usually ngade manje with Izati asking her to make some for me coz she makes a mean koay teow goreng. When I sent her an MMS of my own friend koay teow, she replied, "Oittt, jgn curik specialty Ti" Hahaha..
A trip down memory lane.. the rocky road kinda lane la tp.. I remember it was a Friday. We had just finished our colloquium and were happy with what we had achieved so all of us were neglecting our work and just relaxing around the postgraduate room for the day. Then came in Erwan with a funny look in his face and when I asked him, he waved a wedding invitation card in front of me. It was from his ex-girlfriend and boy, did I have a great time teasing him with his dilemma to go or not. Then during the Friday prayers when the room was rid of all the male Muslims, I remembered mak cik. She'd been calling me for weeks but either I had left my phone at home or I just couldn't answer coz it hurt too much (Sorry, Mak Cik =( ) I always texted her afterwards apologizing and explaining but I never really returned her calls until that Friday noon.As usual, whenever I called her, my heart would race but little did I know that this time, it had a reason to feel so. She picked up the phone and sounded a bit tired. After exchanging pleasantries, I asked her what she was doing before I called and she answered, "Tengah siap² untuk kenduri"
I felt my heart lurch outta my chest while my mouth silently whispering with hope it was one of his brothers' wedding. For a while, my world turned black..
She told me she had sent me the card ia the school and was wondering if I had received it. I walked to the pigeon hole in a daze and couldn't even manage to speak. Maybe knowing that I needed any explanantion or maybe coz she been wanting to tell me all along (re: the calls she made to me before), it all came outta her mouth. He had asked his mother to tell me about it as, I quote, he just couldn't tell me about it himself. Was I that unimportant to him that he can't even give me a decent explanation? I quickly pretended that my phone didn't have any power left so I promised that I'd call her someday just at the same time my eyes rested on a card addressed to me, but in a handwriting I didn't recognize. Even before opening the card, my sight had blurred and I was trying my best not to make a sound as I walked back to my cubicle with the card in my hand. I sent a few smses around notifying a few friends about the new development. My housemate replied telling me to forget him as he'd already forgotten me, which was not something I wanted to hear yet. But my 'cousin' Toroque called me and told me, "Nangis lah, Ayu"..
..and thats what I did. 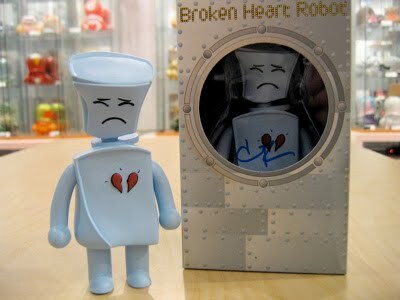 I couldn't even talk to him as I felt so hurt. The last hope I had inside of me was finally gone and I was left with this huge gaping hole of emptiness in my heart that I didn't know how to fill. I had so many questions that I knew, even then, won't ever be answered. I wanted so much for the pain to go away. I couldn't even go home as my eyes were too puffy for me to want to be sen in public so I stayed in my cube, trying to supress the sobs that were threatening to come out while just letting the tears flow. When I finally managed to go back home, for the first time in 5 years, I had my first dose of Panadol. My head was aching as much as my heart and I just wanted to sleep (luckily Fared agreed to take over my class for the day). When I woke up hours later, my eyes were so swollen and my face felt so stiff from the tears. The next day wasn't any better as I still had class and the tears just kept threatening to come. I'm so thankful my students somehow understood I was going through something and for once, they behaved. The same was for the next day, Sunday. I had promised Pojie, Fared and Lie to go on a movie marathon with them and though they were a bit worried, I still wanted to go. But when the lights in the cinema dimmed, I found myself crying quietly again.. I must've been such a total mess but the guys were patient with me though they pretended not to notice me crying. That happened 4 years ago but somehow yesterday, it felt like it happened so recently, I still felt the pain. So I guess, I could understand a bit on what my friend was going through. I don't have any advice for her as I sometimes struggle to forget too. But I hope she'd be able to get back on her feet one day and only remember the good things that happened in that part of her life (kinda like what I feel like most of the time right now) I just hope it doesn't take her as long as it took me to finally feel this was. Mulai hari ini, sy akan mula mengawasi komen² yang ditulis di dalam blog saya. Sekurang²nye untuk satu jangka masa yg tertentu..
Sy tahu, blogosphere dan internet adalah terbuka kepada semua dan saya tidak menafikannye, tapi semenjak akhir² ini, sy rasa ruang 'sy' dicemari oleh mereka² yang merasakan hidup semua orang adalah berkisarkan mereka, macam everyone's lives revolves around him, dan ini menjelekkan sy. Nak cari gaduh, sile pergi main jauh². Dan klau nak tunjuk bodoh pun, tunjuk la bodoh anda di tempat yang orang mempercayai anda! Sy tidak tahu selame mane sy akan moderate komen² ini kerana sy lebih percaya pada kebebasan bersuara. Cume apabile sy rase ianya melampaui batas, sy rasa tanggungjawab sy untuk masuk campur kerana ini adalah di dalam 'kawasan' sy. Wpun ade yang cube menunjukkan kebenaran, tp usehe anda hanya sia² untuk org mcm ni maka sy harap anda akan berhenti melayan kekecewaan manusia tersebut. Sy juge tidak akan memadam komen² sedia ade sbb sy yakin, kate² anda sebenarnye mencerminkan diri anda walau macammana berusahanya anda untuk memburukkan orang lain tanpa sy perlu berbuat ape²..
Sy berharap rakan² (yg setakat berape kerat shj yg bace blog sy ni) tidak kecik hati dgn tindakan sy ini dan diharap anda memahami. I managed to do the first 2 within a few hours of arriving in Penang (I was on a tight schedule, still had class at 4.30pm so memang kene cepat) so I proceeded to go to Ami's before leaving and coming back to Jawi for my class. Now, otw to Ami's, there's this Caltex station situtaed on the Jelutong Expressway. Somehow, it has become my wajib pittstop whenever I use the expressway, where I'll stop and buy a can of Nescafe before I continue. I pun tatau la ape diorg bomoh kat saya sampai saya memang kene singgah situ hehe..
Nway, I went straight to the cooling units, grabbed a can of Nescafe and went to the cashier. There was only one cashier on duty and he wasn't wearing their uniform. Since it was a male cashier, I did my usual takmo-pandang-muke-awak I usually do. No, sy bkn buat camni sbb jage pandangan mata coz I'm about as gatal-suke-tengok-orang-ensem just like the next person. I do this because I'm plain segan je when face-to-face with people I don't know haha.. (why ayat tu macam poyo giler haha..) Kalau tengok dari jauh, berani la hahah.. aci kah camtu? Anyway, I pretended to be absorbed in the candy choices near the counter as I handed my money and when I reached my hand to get my change.. Huh?! Terus je saya automatic pandang muke the cashier and realized, Hey! This guy DOES look familiar. And he was smiling like I was an old pal, lagi menambahkan kekonpiusan saya coz I still couldn't remember who he was.. and jugak sudah mule rase malu coz I hate it when I can't remember. He made a gesture indicating that he wanted me to wait while he served another customer but then another customer came, then another.. I was feeling a bit conscious waiting beside the counter and when my phone suddenly rang, I became engrossed in the phone call that I went straight outta the petrol kiosk into my car and drove off as soon as I hung up. It was only midway to Ami's that I remembered the guy..
Aisehh.. konpem dia kate saya mengade teruk kan! Arriving at Ami's pun, I still couldn't remember who.. though by that time, I was starting to remember a bit la kot. It was less hazy la my memory time tu. Otw back, I couldn't possibly drop by kan, dah la the petrol station tu on the other side of the expressway, what was I supposed to say, "Hi, sy rase awak ni memang kawan sy la tp sorry sgt sy tak ingt awak ni sape. Leh tolong refresh kepale sy?" Tp sgt la sure it was a friend from SKSG coz I was in an all-girl school during secondary AND sy bknnye budak glamer yg satu Penang kenal kaaaaaaaan haha..
Nway, just now it suddenly hit me.. AZLAN! Aiyak! Now that I'm sure its him, I wonder how the hell I didn't realize it was him. My childhood crush.. FIRST crush in SKSG when I was 7 years old <-- kecik² dah gatai naaa.. I think I wrote about him once. Jap nak check.. But they started to freak me out when I was teased at the canteen too. They would follow me around just to tease me and once, when I ran into the toilet, they waited for me outside the toilet while he pleaded to his friends to leave me alone haha.. giler ape budak² ni! Boleh kan jadi stalker kecik².. nasib baik la bile besar semua dah jadi orang² yang senonoh skit. I can't believe they scared the life outta me dulu haha.. When in standard 5, I learnt we would be in same class, I still freaked. But when I realized, only he would be in my class and not his friends, I started to relax but I never talked to him at all during standard 5. By then, the teasing had slowed down pun. Then in standard 6, our teacher put us together. She wanted to make our class less noisy so each girl was to sit next to a boy and voila, he became my deskmate. By then, I'd lost the crush dah kot and little by little started talking to him like I did during standard 1, though credit must be given to him la since he was the friendlier one when compared to me. However, the power of the internet and specifically FB has reunited me with a lot of friends but things are different for all of us now. Still, I DO have his FB, and have been having it for a while now. I'm thinking on how I'm supposed to apologize to him since FB is the only way I can contact him. Dah la kompen dia kate sy ngade giler sbb lari camtu je (tanpe sengaje, ok!) aritu.. adehhh..
Labels: Laughing at myself, Of growing up.. I'm feeling like an idiot for now haha..
Now, I have this annoying habit of MMSing pictures to my family and friends. The usual MMS are about my baking la and usually I send them to all my siblings all at once and wait for their comment. One of those incidents found me sending the usual MMS to my siblings as well to a few students and I got a reply from Adi 'kutuk'ing his kak Yong haha..
A few minutes later, my student Irfan asked me about this particular number he just received an sms from. I didn't recognize the number (ye lah, whats the use of the address book in your phone, right? =p) but when he told me of the content, I realized it was from Adi. He received the sms Adi apparently sent in response to my earlier MMS. 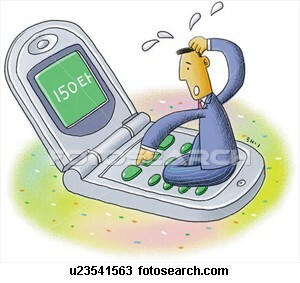 Terus terkagum la saya.. phone sekarang boleh "reply to all" rupenye! Jeles gile, ok, since I usually had to mark the numbers in my phonebook if I wanted to send an sms to multiple recipients dan sangat la terase rendah diri with my phone yang terase sgt sikit function. Takpe lah, sy pujuk hati. Told myself, bukan susah sgt pun nak mark recipients yang sy nak kan? That was around a year ago, I think..
Then yesterday, Ikram sent this MMS to our siblings about a routine he just created for his martial arts demo and he wanted feedback. Since I got it in the midst of a class, I didn't watch it that much and only managed to watch it again a few hours ago. Sumer phone memang ade ke function nih? Ahahahahaha.. and sy baru tau ke? Now this is an even more basi entry when compared to my World Cup finals one haha.. takpe lah, better late than never kot?!? On the 29th of May, my brother finally joined the ranks of 'laki orang' haha.. He hadn't eaten for days (as opposed to makan bnyk on normal days) and was trying his best to hide how nervous he really was. That morning, after helping out with the final touches of the hantaran, he started to get ready. The chosen colour for the solemnization was turqoise so he had on a nice baju melayu with matching sampin. But Adi being Adi just couldn't resist playing around macam bukan dia yg nak kawen dalam mase sejam lagik tu, he just had to pose Lat cartoon style with his sampin.. cehhh! Next, while waiting for everyone, we managed to take a group photo of our family as Adi puts it, "Mase I masih bujang!" Then we girls of the family took a photo with Ana as I put it, "Mase Ana masih anak dara" Heheh..
At the FRIM mosque, we had to wait for a while for everyone to assemble so here's Ana amidst the hantaran she was giving to Adi.. While waiting, masih jugak sempat posing. Here's me and Adi yg masih cube menyembunyikan kenevesannye! ..and Adi with Ikram and Iskandar. Sambil menjeling the bekas cincin in Ikram's hand haha..
After everyone was ready, the official engagement was carried out. Here's Mama putting the ring on Ana's finger. Still, we had to wait for the Tok Kadi for quite a while before he arrived. Sempat la kot Adi nak ilang neves kot? Ikram was acting as his second man here.. ntah ape tah adik beradik duorang ni dok bersembang time ni? 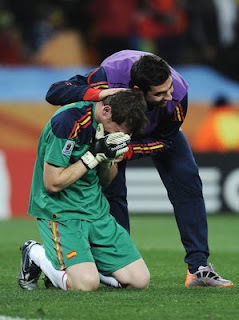 Actually, time ni sy plak nak nangis haha.. why? So here's the blushing bride.. my adik ipar, ok! And here's the letter confirming it hehe.. which Iskandar bought back to Penang by mistake. Dan terpakse la pos ke KL balik hehe..
Adi with his best buddy, Adin (sorg lagi sy tak kenal) Kawan dari TI tuuuuu.. kawen pun beze seminggu je with each other hehe..
And the song dedicated for this entry is also featured in soundtrack kawen Ayu ye haha.. This was the actual picture I wanted to past in my previous entry.. aisehh! Silap la pulak hehe..
And the finals have come.. and gone! I know, this is a very 'basi' entry haha.. but I still wanna write about it for my own remembrance! 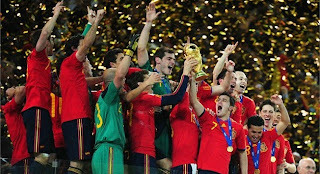 So Spain won in the end, as predicted! They had 10 straight wins before the South African World Cup anyway and according to Zabidi (my latest football encyclopedia, now that my previous ones have moved on haha..), were already the favourites to win even before WC'10 started so bravo the them. And for a follower like me (you know, the kind who doesn't exactly follow the leagues and only watches the big² tournaments), I think they played beautifully. Actually, I first saw them playing in Euro 2008 and I liked them even then (tho of course still won't pick them as my favourites just on loyalty-to-Italy basis haha..). I still don't know the name of the players (except the handsome Alonso laaa..) but I liked watching them paly and tried my best not to miss any of their games. However, I also liked Netherlands during Euro so I also followed their progress in the WC. 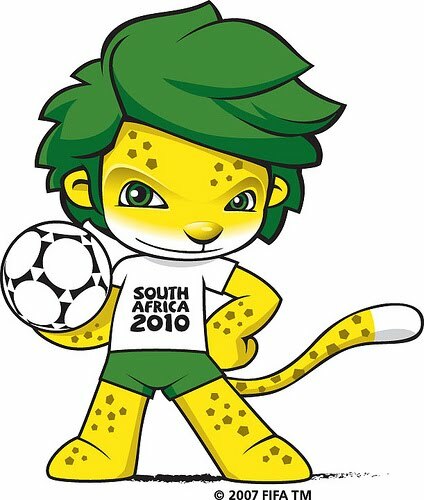 To me, they too played beautifully (won all games before the final game jugak hehe..) and since they were the underdogs for the final, I decided to root for them. ..and NOT because they lost! 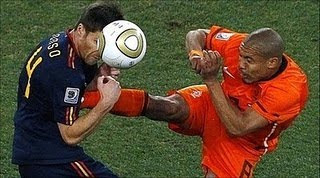 I don't really know much about the 'allowable roughness in a tackle' and bla bla bla.. (Okay, so I dunno what the actual terms are =p) but I sure felt the Dutch were VERY rough.. vicious in fact! And I found myself disliking them even earlier on.. Gile ngko, wanna make a record for the highest number of yellow cards ke apetah? I really liked their goalkeeper who is an 'Octopus' himself, not letting any ball go pasthis goal post so sgt la touching when he went down on his knees and cried, ok! Wpun tak ensem, he could actually ganti Buffon for my most favourite goal keepers hehe.. So there goes a month of staying up hehe.. still adjusting to NOT staying up for matches. 4 years ago.. and now! 4 years ago, around this time, I was struggling doing my writing for my MSc dessertation. I was a night owl then, when my pace was the most optimum in the wee hours of the day. My daily routine was (assuming my day started at night, the night owl I was) going to my tuition classes from 8.00pm to 10.00pm and arriving at school around 10.30pm. Most of the time I'd go out with some friends for some dinner at the nearby haunts and will only really sit in front of my pc around 11.00pm. The first thing I'd do is check for emails from Dr Wan (who always sent back our drafts on the same day we sent it to him) then I'd proceed with my writing. Sometimes the guys would ask me to go out for drinks around 2.30am but after 3.00am, I'd be working on my thesis till around 5.00am when I'd finally go back home, wait for Subuh then sleep away until 9.00am or 10.00am. Then I'd go back to school to finalize the draft I wanted to send and email to Dr Wan. Then I would go on to another chapter or anything related.. and my day would repeat just like that. At first it was just that the conversation during dinner would all focus on goals, offsides, defense and bla bla.. Then, since I was the one who was up all night, I became the 'alarm clock' for some friends (even those NOT in USM haha..) to wake them up for certain matches. After that, since I started Googling about the matches, I was asked about the results by those who didn't wake up despite my numerous calls to them. Midway through WC06, my thesis started to see the end of the tunnel so I didn't have to stay up so late. So one night, I went home around 3.30am but since my biological clock was reset abnormally, I couldn't sleep so I decided to watch ONE match. I don't remember who was playing, it was an Asian team (Japan? Korea?) against USA. I was mumbling to myself on what the hell did they find interesting in a team of guys wearing shorts chasing a ball, when a goal was scored! To my suprise, the excitement on the screen was infectious..
Then I started watching a few games here and then and started liking a few teams. Mind you, I still didn't understand most of what was happening but to me then (and even now), a good game is when I don't realize the time passes. And a good team (tak semestinye the greatest), bukan lah yg bnyk pemain ensem (as I thought dulu haha..), but is the one that plays with passion (at least to me la mase tu.. and with passion, I mean the look on their faces bile foul or bile dpt goal hahaha.. very like budak² okay!) and creates an entertaining game. Well, the rest, I'd say, is history! Haha.. I still remember Dr Farhan calling me the morning after the finals when my chosen team, Italy, had won on penalties. He called around 9.00am, I think, wanted to talk about my final draft and he could only meet me that day (Sunday) as he was always busy on weekdays. Kelam kabut kaaaauuuu.. mandi cepat² then when straight to him with mata bengkak haha.. he took one look at me and asked, "Tgk bola ke pagi tadi?" Hahaha.. But no, I don't watch or follow any leagues. Its a bit hard since I only have the normal channels on my TV but even if I have Astro, I don't think I'd like following matches every week. Once in a while, I just check the papers for updates, tu kire abis kuat la tu. Champions League nye final stages pun I only followed when my usual channels were broadcasting them and Euro aritu I was lucky enough when almost all games were broadcasted in the normal channels. 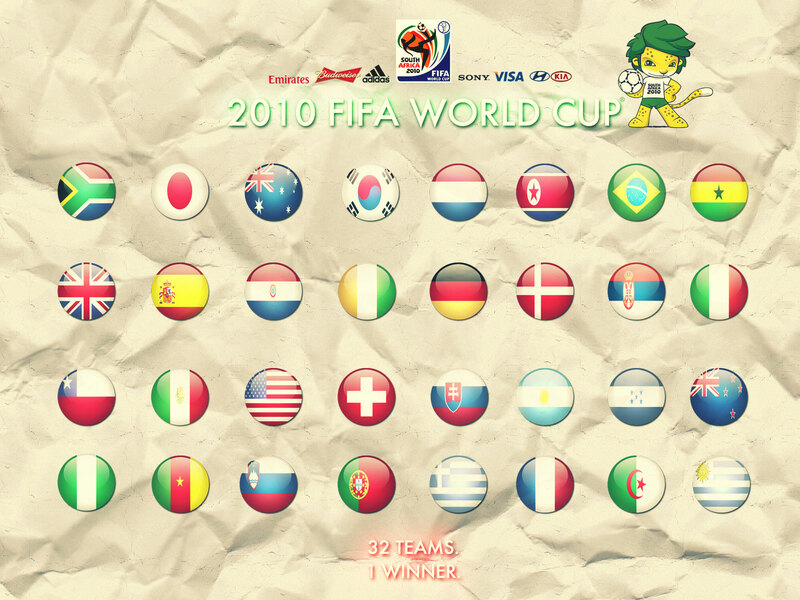 As for the WC2010, I find it hugely different from WC06. Four years ago, I was membebeling at my friends for watching something I thought buang mase. I only started watching during the final stages. 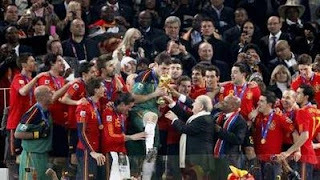 Four years ago, I didn't care who played or who lost the group stages or who even entered the quarter final and semi finals. Four years ago, I didn't know a thing about football nor did I know any terms used in football and I only used 'tendang/kick' to descride how you should pass the ball. Four years ago, I didn't know any players..
..err, well, I still dunno la since I only watch the games what, once a year? Once in two years? Hahah.. But the differance now is I could actually believe it now when they say the WC unites people all over the world (dulu I thought that statment was overrated!). If only people were this united in other world issues, kan haha.. Now, Izati doesn't wanna watch football with me coz she'd turn all black and blue from my pinches when Italy loses.. and was kicked out last in its group in the group stages! Now I know you can pass a ball or cross it. You can also, literally, use your head to score a goal for your team.. and now I can even spot an offside when it baffled me before! Hahah.. Yes, I know.. thats basic stuff. Really basic stuff but for me, its a huge change.. and I'm loving it. 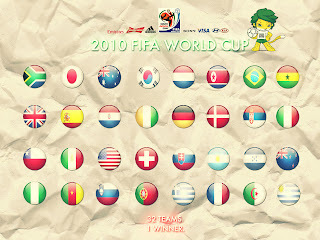 The last WC found only me on Argentina's side while Abah, Izati, Iskandar, Sofi and Masyitah were all on Germany's side. Imagine how I was booed when Argentina lost? But for this WC, I especially like it when Iskandar and me were on different sides of the England-Germany match, and I was on different sides with both Izati and Iskandar on the Argentina-Germany match BUT the same side as Adi so we both got booed together by our younger siblings. And hey, 4 years ago, Adi asked me, tak cukup laki ke klau tak tengok bola? Hahah.. but this year, he's on Netherlands side from the start.. Go Oranje! And no, sape cakap tak cukup laki? I know a lot of great guys who don't watch football. Fell in love with one too haha.. still remember the WC2002 when me and him were chatting while around us, people were shouting for the goal.. so know, football is not for the real men too! Most of all, I like it when me and my students have something to 'fight' about. I laughed out loud when Brazil lost as my students were asking me to end the class early as they didn't wanna miss the game. I had told them earlier, "Korg ingt korang balik awal boleh tolong Brazil menang ke?" Hehe..
Labels: Berkenaan bola =p, Discovery, Laughing at myself, Of growing up.. Some people are born great.. those lucky ones! Some people have greatness thrust upon them.. whether they want it or not haha.. Some people rise into greatness.. the deserving ones! But some people just need to tell people they are great, just in case people don't notice their greatness.. and thats just simply pathetic! Hahah..
Labels: Discovery, Of growing up..